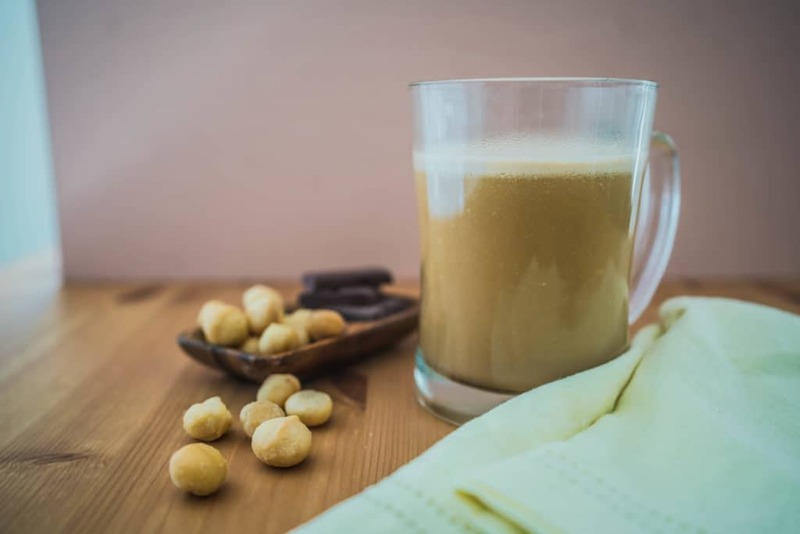 Macadamia Nut Coffee | Dairy Free! This Hawaii inspired coffee is going to blow your mind! We use macadamia nuts and coconut oil to make the ultimate Macadamia Nut Coffee, dairy free. Unfortunately, Matt's search for macadamia nut coffee in Hawaii ended in no resolve because everyone used a sugary macadamia syrup. So, naturally he was on a quest to create the ultimate low carb replacement so it could be enjoyed by all alike! Watch the video below to find out exactly what makes this Matt's favorite morning time drink. You Can't Beat Hawaiian Macadamia Nuts! We were lucky enough to have just visited Hawaii before making this, so we had and still do have Hawaiian macadamia nuts on hand. And, Matt swears to you you won't find a better macadamia nut in the world. He probably ate a good pound or two of nuts while we were there and he wouldn't take it back for the world. According to him, they are creamier, nuttier and i'm not sure how this is possible, but they taste fattier. It honestly sounds like paradise! If you ever find yourself in Hawaii buy another suitcase and fill it to the brim with nuts, you won't regret it. The Best Twist On Fatty Coffee. This twist on a traditional fatty coffee is especially good for those individuals who have trouble getting their fats in! The two main nuts we keep in the house are macadamia and pili for the sole reason that they are extremely high in fats and the lowest in carbs. They make for the perfect snack or in this case coffee additive. The high fat combined with the small amount of carbs and protein will keep you fuller longer giving you a better drink to start a busy morning off with. It's also a lot richer in flavor and you even have some residue of the nuts floating around for a little texture. Does it get better? If you like to start your morning off with a hot, caffeinated beverage, but need a little change up from the normal fatty coffee, this recipe is perfect for you! It has impeccable macros, a rich, nutty taste, and will likely keep you fuller than a traditional fatty coffee. 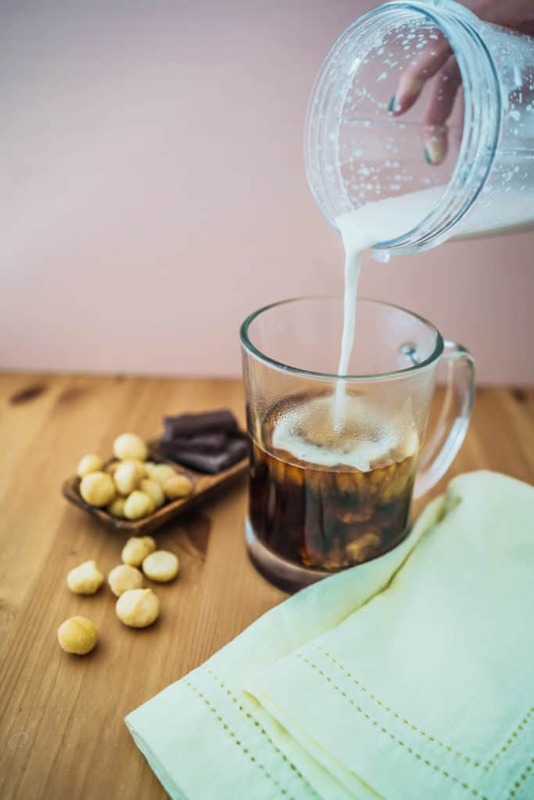 It's also dairy free, but if you prefer your morning dairy fix than get a little wild and change up the ingredients that go into your macadamia nut coffee! Tip: Make the macadamia nut cream in bulk to store in the fridge for the week! 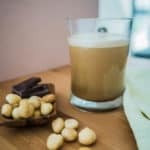 Recipe can be quickly added to MyFitnessPal - Search "KetoConnect - Macadamia Nut Coffee"
Heat a saucepan to medium heat and add the coconut oil and macadamia nuts. Allow to heat until toasted, about 3 minutes. Add the almond milk and stevia to a blender as the nuts and oil toast. Once toasted add the nuts and oil into the blender and blend until smooth. Pour the macadamia nut mixture into your coffee and enjoy!